“[T]here was no more important concert in Pittsburgh in 2001 than this opera[.] ... You don't have to be a socialist to see that art that connects with people is a good idea, and composer Jeremy Beck created an accessible and at times powerful score." 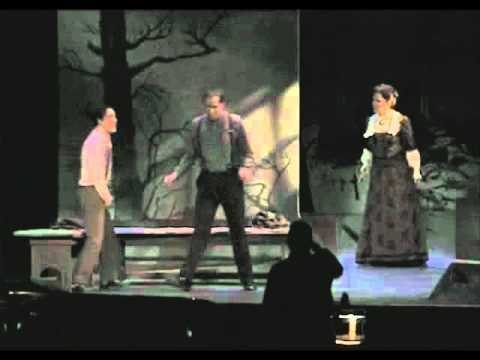 Based on a tragic love story from the early twentieth century in Pittsburgh, this lyric opera is scored for a large cast and chorus with chamber accompaniment.The Biddle Boys and Mrs. Soffel was commissioned by the Tuesday Musical Club of Pittsburgh (TMC) and produced by TMC June 15-17, 2001. The principal singers were Lorriana Markovic (Kate); Brent Stater (Ed); Patricia Donahue (Margaret); Robert Frankenberry (John); Stephen Schall (Peter); Ja-Nae Duane (Jenny); and Richard Teaster (Detective McGovern). Chris Howard (lighting designer); and Mary Beth Glasgow (violin).